This statistic gives a comparison of energy production and consumption in the United States from 2017 to 2050. 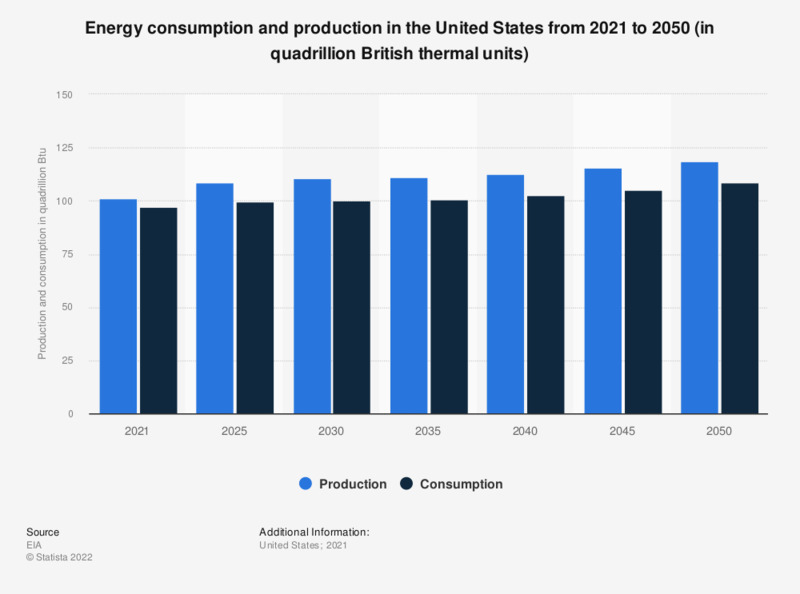 The United States is expected to consume just over 106 quadrillion British thermal units of energy in 2050. Figures for 2016 are actual values.